The San Pedro Roman Catholic School palapa, which was burnt down during the summer vacation is being re-constructed, through the kind donation of Canary Cove. Mr. Gil Nunez, employee at Canary Cove, spoke to The San Pedro Sun of the project; “The owner of Canary Cove has built his dream home here on the island. He spends a third of his time here and just wants to give back to the community”. As a result, Canary Cove has undertaken two projects at SPRCS. 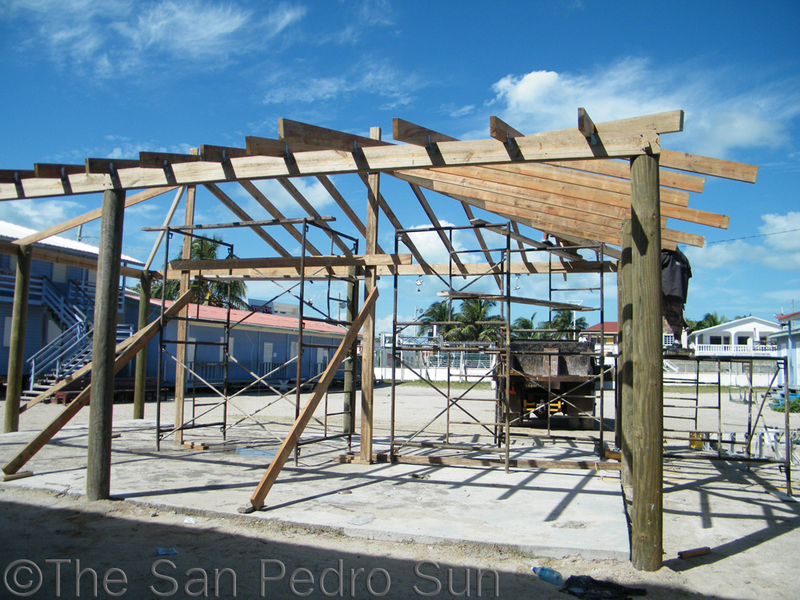 The first is the re-construction of the palapa. The palapa, which in the past was made from pimiento and thatch, was very susceptible to fire. As a result, after consultation with the SPRCS administration, it was decided that this time around, the structure should have zinc roofing. 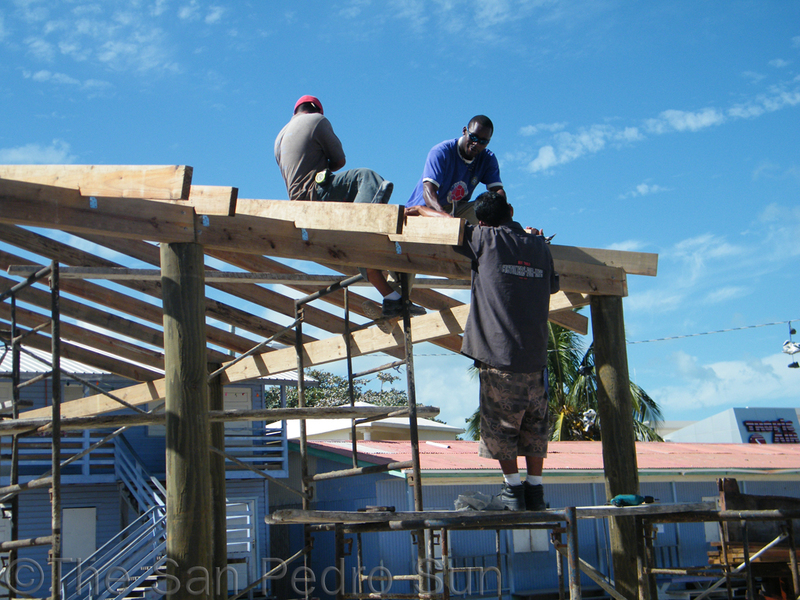 The team responsible for the construction will create a zinc roof complete with insulation and a ceiling to absorb some of the tropical heat that San Pedro enjoys nearly year-round. The structure should provide the teachers and students with a space that is comfortable and safe. Apart from the structure, Canary Cove has also pledged to donate ten picnic tables to be used under the palapa and as the school sees it fit to use them. The second project is the re-construction of the staff restroom. Presently, teachers and students are forced to use the same bathroom facility. With an enrolment of over 500, it would be understandable how this could become very stressful. The initial project commenced on Saturday December 16, 2011. The project is expected to be completed by January 9th. All labor and materials are being donated by Canary Cove. The San Pedro Sun commends Canary Cove for their generous donation to the children and faculty of SPRCS.